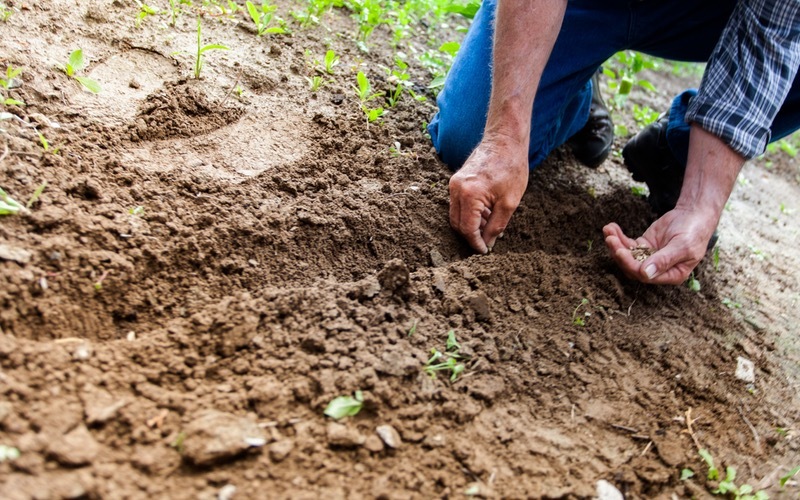 Whether you've tried your hand at gardening before or this is the first time you've ventured into the garden, here is our advice to help arm yourself with the basics. When choosing plants it's easy to go for what you like the look of, but actually what you plant should depend on the type of soil you have. Is it light and sandy, or heavy and clay? Many plants grow better in one type than the other. Placing plants too close together can decrease their chance of growth, or will need more looking after. When buying plants, make sure to get the right amount for your bed, and don't overcrowd it. Plant labels should tell you how much room they need. Being gentle with new plants is essential to avoid breaking or bruising them. Gently squeeze the pot sides and turn it upside down, using your other hand to catch the plant. The idea is to allow the plant to slide out when you upturn the pot. Before doing any digging have a rough idea of where you want everything to go, and what you want to go in these places. Place your bulbs and young plants on the soil surface first to make sure you're happy with the arrangement. Thoroughly soak through the roots of a new plant before you plant it to avoid dry root balls. A plant roots need to be able to spread to get the best chance of absorbing moisture, so to help make, the hole bigger than the root ball before you attempt to plant. For first time, and even intermediate gardeners it can be easy to forget what you've planted. Take a minute to write the name of the plant on a label (which you can buy from the garden centre or make yourself) and pop it in the ground next to the plant. Plants are designed to draw natural moisture from the earth, so before watering your plants, as a rough guide poke your fingers about two inches into the soil around the plant, if it's very dry, add some water. The exception to this is container plants, which do not have a enough soil to allow enough natural moisture. Weeds are your worst enemy. Make sure to regularly remove them and all their roots. If seeds are clinging to the weeds, do not put them in the compost as you'll end up re-spreading them. Resist the temptation to plant your shrubs near a fence or wall, they grow in all directions, so plan accordingly. Gardening is a hobby, so have fun with it. Allow yourself to experiment and try new things. If something is in the wrong place, or doesn't look right you can move it.